The students of the MA Sounds Studies and Sonic Art are pleased to announce the first round of events at SoundAbout, the new student-run project and exhibition space in Potsdamer Straße 161, Berlin. 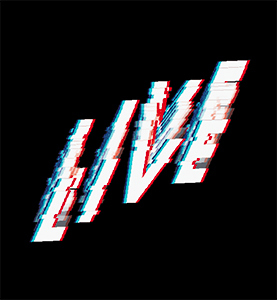 With weekly appointment, running on Thursday from 14th February to 07th March, the gallery will host LIVE, a serie of events dedicated to Live Performance, Sonic act and Performance based work. To be updated on our events please follow us on our website, https://about.sounds.berlin/ and our FB page SoundsAbout. * SoundsAbout is a collabotration between the Master’s program Sound Studies and Sonic Arts at the Berlin University of the Arts and Zwitschermaschine, offering a project space to present and discuss, question and celebrate the work and ideas of our students and their guests for three months every year.